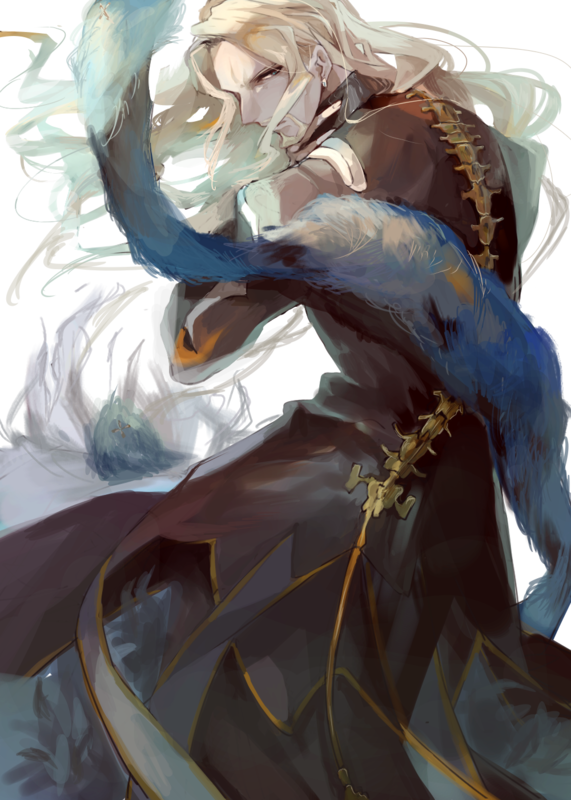 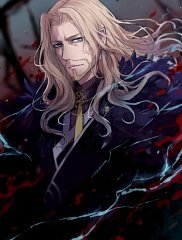 59 anime images in gallery. 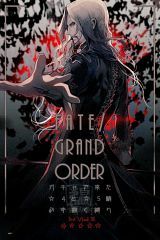 Tagged under Fate/Apocrypha, Okiayu Ryoutarou, Black (Meta) and Fate/Grand Order. 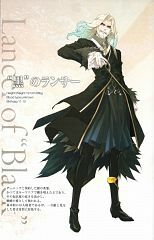 Black Lancer (Lancer of "Black", "黒"のランサー, ?) 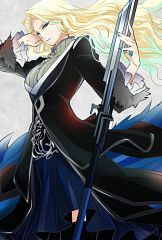 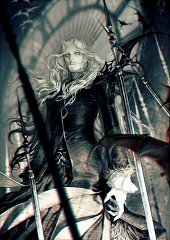 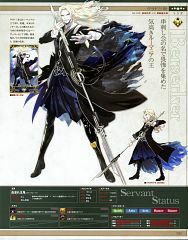 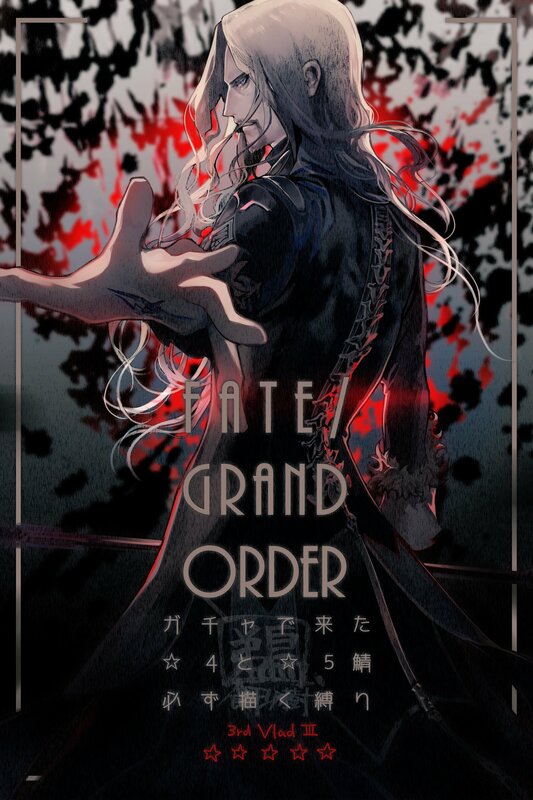 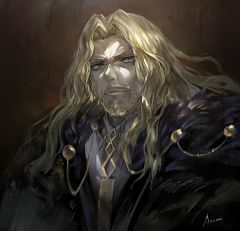 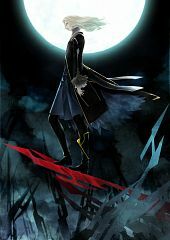 is the Lancer-class Servant of Darnic Prestone Yggdmillennia as part of the Black Faction in the Turifas Holy Grail War of Fate/Apocrypha. 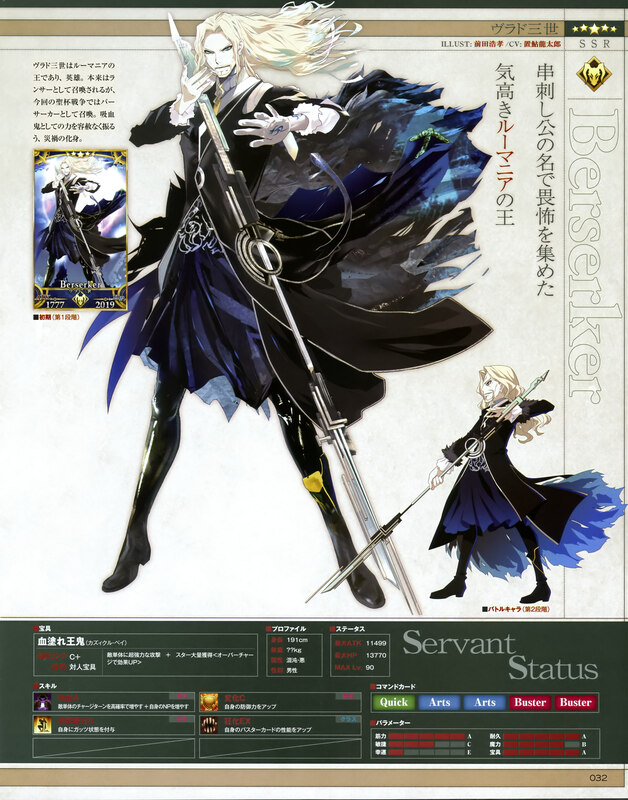 He was designed by Gen Urobuchi and illustrated by Hirotaka Maeda for the original canceled online game project. 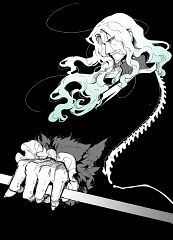 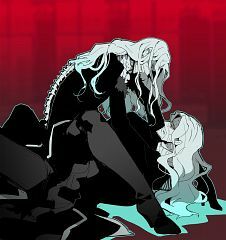 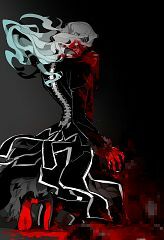 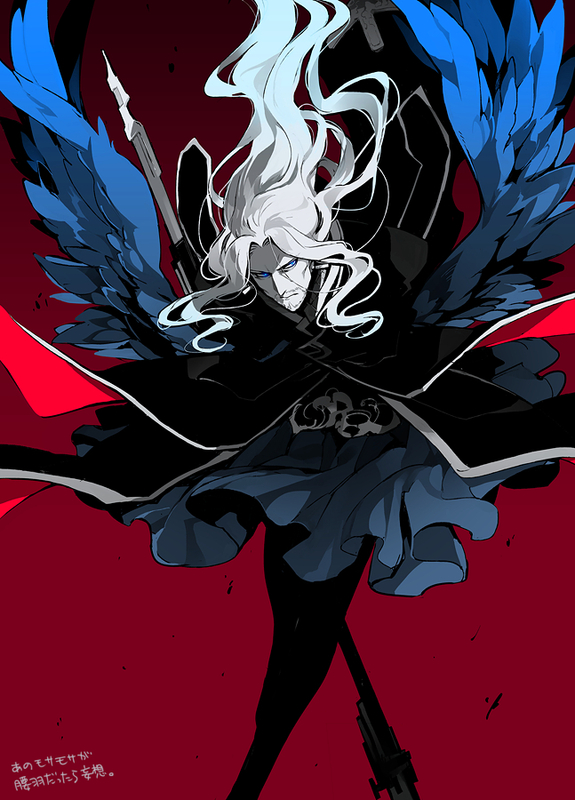 Lancer's identity is Vlad III, the Lord Impaler (串刺し公ヴラド三世, Kushizashi Kou Vlad san-sei?). 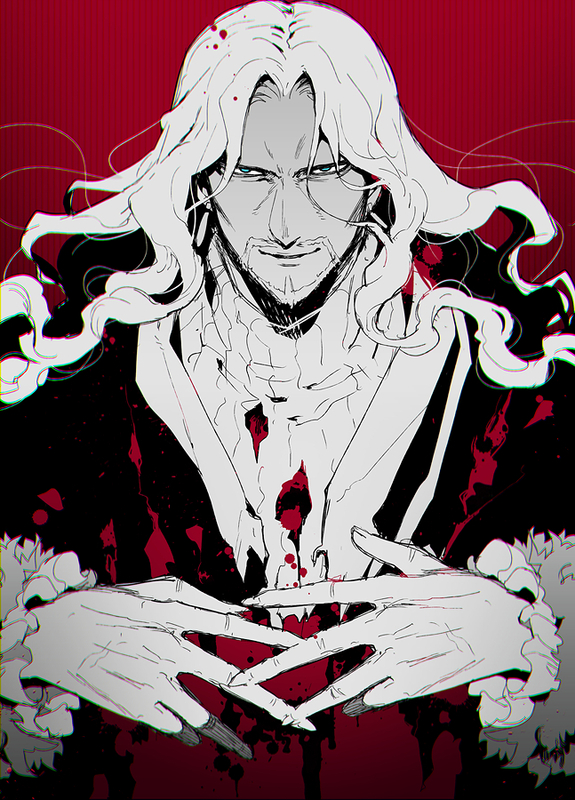 He is the lord impaler of the Principality of Wallachia. 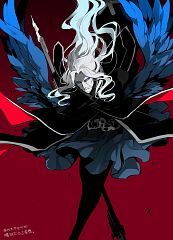 Motivated by a love of his nation and a duty to maintain its sovereignty and power, he purged all who would oppose its interests. 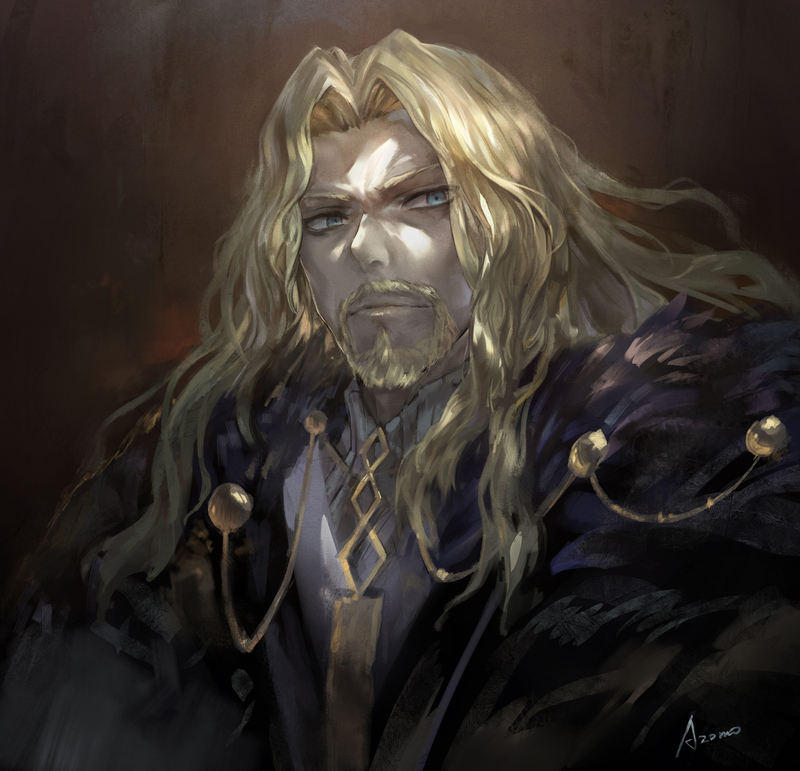 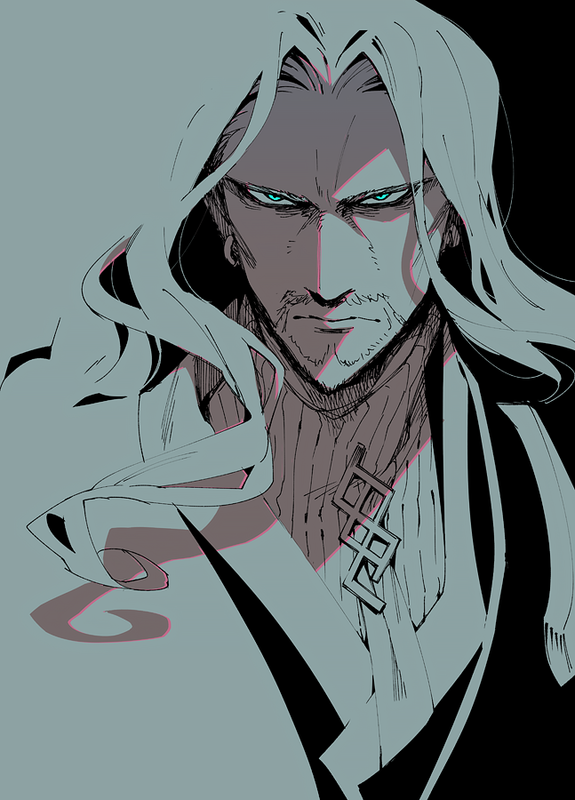 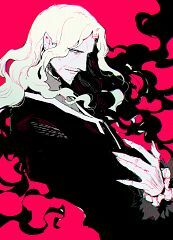 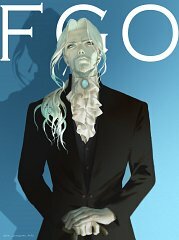 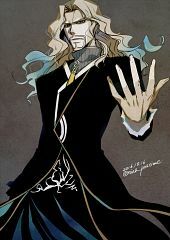 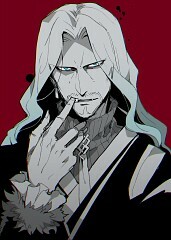 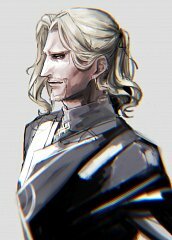 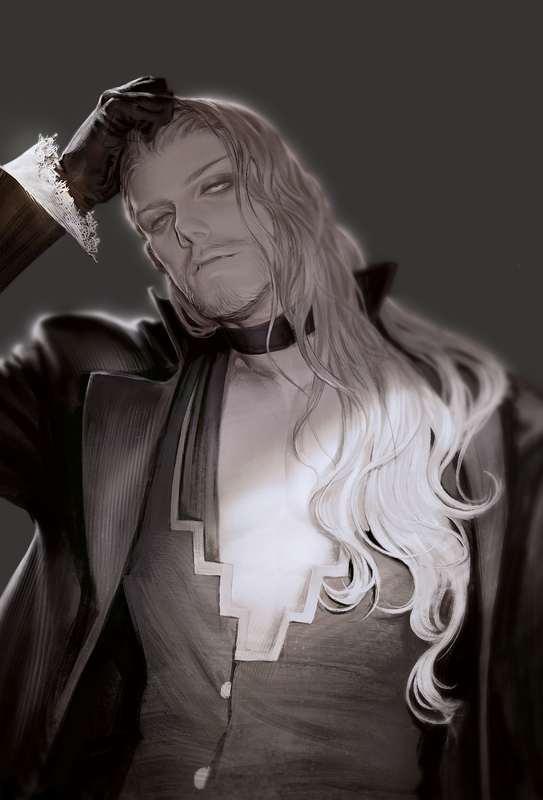 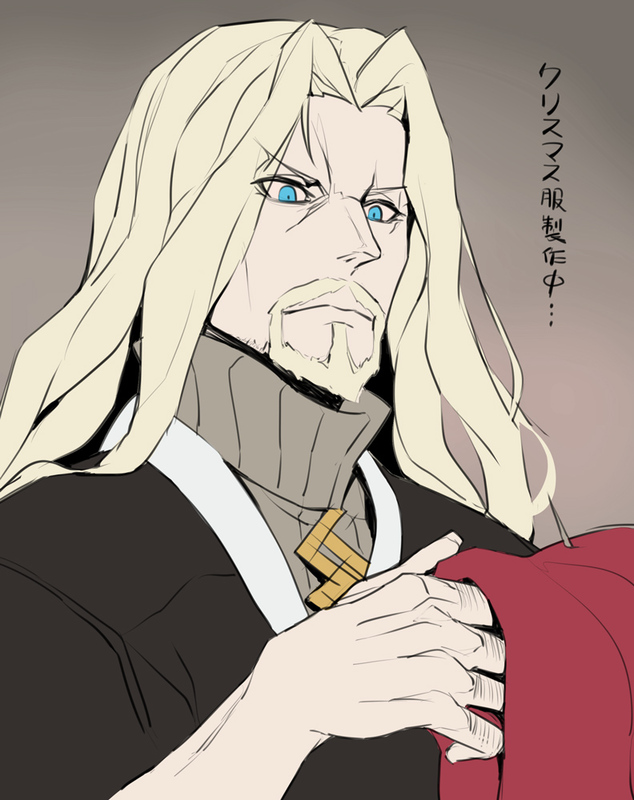 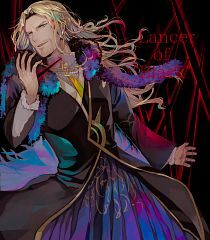 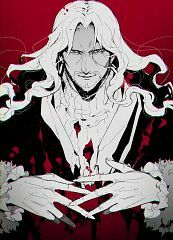 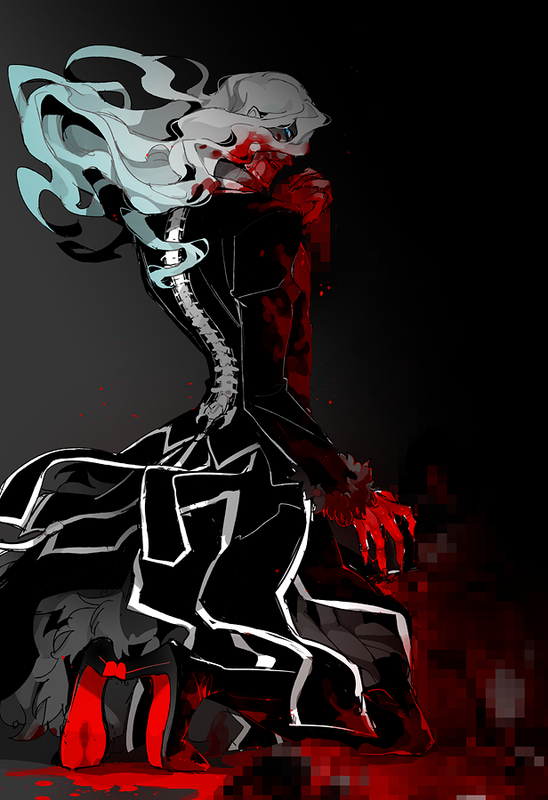 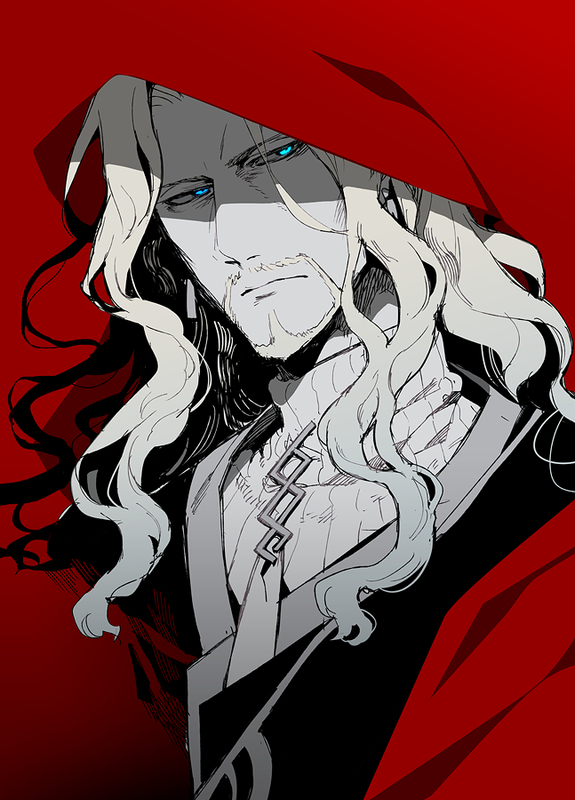 He differs from the Fate/Extra incarnation of Vlad III. 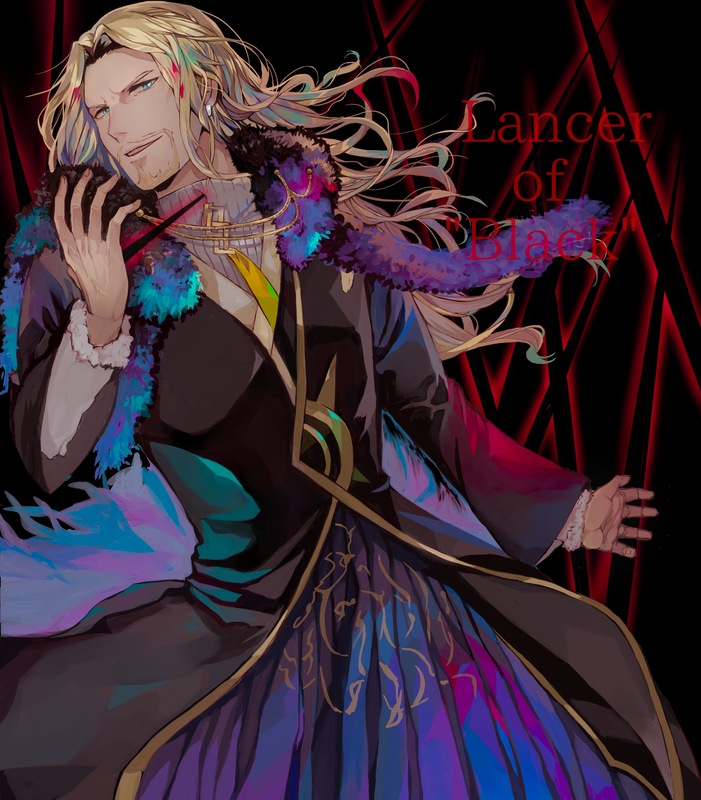 Though there is an aura of danger about him, he in fact possesses a modest and considerate personality; but his opinions and unrestrained manner of expression lend easily to the impression that he is a sociopath who has disengaged himself from the standard mores of society. He tries to ignore the reputation of the vampire modeled after him in a mature manner -- but somehow, representations of him that he comes across will end up being destroyed.